DZ Deathrays occupy the same liminal space within rock as so many other duos, and accordingly receive the same flak for it. Whereas The Black Keys and Royal Blood have managed to thrive in a post-White Stripes world and become so big they’re essentially impervious to backlash, the notion that all other duos are still riding on their coattails is an attitude that still prevails. And even though DZ Deathrays are more indebted to a more raucous brand of garage-punk than fuzzed-out blues, the criticisms are still there, that they co-opt the same lo-fi, retro aesthetic, and never find the room to evolve their sound beyond it. But it’s not like this isn’t true to an extent. As much as the Australian two-piece have found their own tiny corner of solace, neither Bloodstreams nor Black Rat pushed any sort of boundaries or made any big statements, no matter how much enjoyment could be derived from their ragged, to-the-point sound. The pot might have been stirred a little to prevent them from being Faceless Garage-Rock Duo #387, but Bloody Lovely is the third consecutive time that DZ Deathrays have done this, and ultimately is exactly what you’d expect from a DZ Deathrays album at this point – reasonably enjoyable without all the hang-ups associated with innovation or evolution. That all might sound incredibly backhanded, but it doesn’t detract from the fact that Bloody Lovely isn’t a bad album at its core, primarily thanks to a typical blend of sharper melodic composition and writing, and not relying on hazes of fuzz and distortion to fashion together a lo-fi atmosphere. Of course the latter is still there to an extent – the hefty crunch on Shred For Summer and High continues to adhere to the blown-out traditions of most garage-rock – but with tracks like Over It with its blurred indie-rock screech or closer Witchcraft, Pt. 2 which goes borderline progressive rock, they’re buoyed by foundations that just feel more solid overall. Factor in Shane Parsons unleashing a rougher vocal tone on tracks like Feeling Good, Feeling Great and Back & Forth, and there’s an immediacy to Bloody Lovely that constitutes a healthy amount of its appeal. But then again, the fact that this is essentially a retread of DZ Deathrays’ former glories as a band leaves Bloody Lovely as an unfortunately hollow listen. The instrumentation is rough with a yard more pace than garden variety garage-rock; the production leaves as many edges on as it deems necessary; and the songs themselves largely blur together beyond perhaps a passing riff. It’s never pleasant to say, but never on Bloody Lovely does it really feel like DZ Deathrays are doing anything more than treading water and rehashing their own sounds with no significant change in quality either way. Only Witchcraft, Pt. 2 ever really pulls out the stops in a way that could see some future progression; otherwise, it doesn’t feel like Bloody Lovely has all that much to offer beyond the expected basics. Still, it’s not worth writing DZ Deathrays or this album off completely, as it’s at least easy to see where fans or curious new listeners might gravitate towards. Longevity and innovation aren’t even worth factoring in, but for a quick burst that burns out as quickly as it comes, Bloodly Lovely is comfort food in the most emphatic sense. Beyond that though, there isn’t really much to say beyond it’s a DZ Deathrays album, and if you know what they typically entail, you’ll have a fair idea of this one already. Perhaps a better title would be “bloody adequate”. 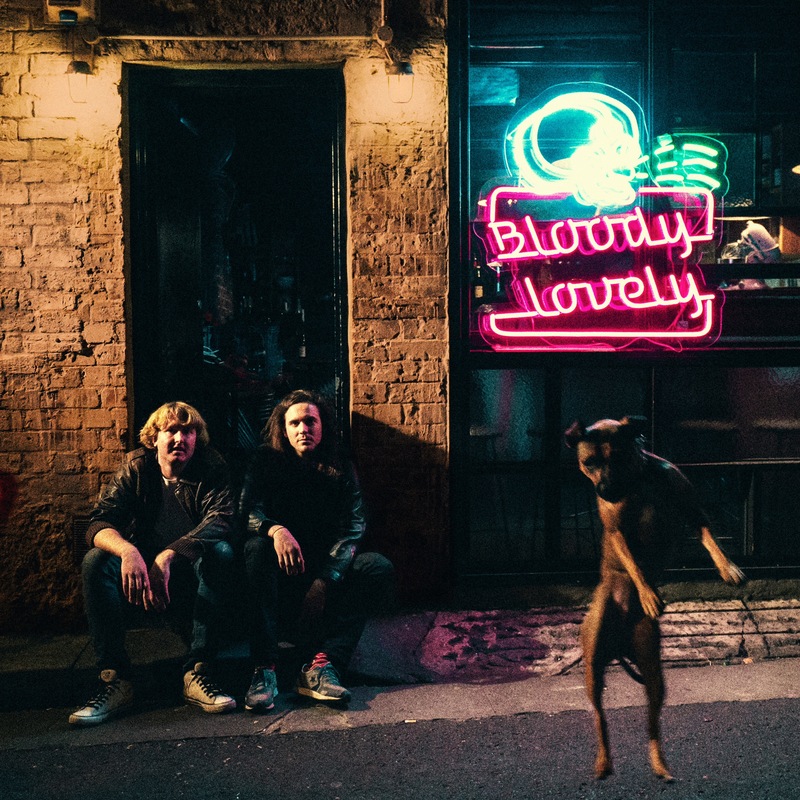 ‘Bloody Lovely’ by DZ Deathrays is out now on Alcopop! Records.